Vinay Sharma | I.K International Publishing House Pvt. Ltd.
Vinay Sharma, PhD (CCS University), Professor and Head of Department and Coordinator of the DBT sponsored M.Sc. Biotechnology programme and Bioinformatics Centre at Banasthali Vidyapith, has vast experience of teaching and research in Plant Sciences at IIT Roorkee during 1986-96 and then at Banasthali from 1996 onwards. He has over 200 research publications in prestigious international journals and has supervised 45 PhD. 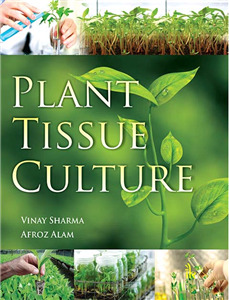 He is accredited with many educational innovations and has been honored by several prestigious fellowships and awards in India and abroad including Young Scientist Award by ISCA, Zahoor Qasim gold medal by Society of Biosciences and Distinguished Scientist Award by Society for Plant Research. He has been a Visiting Professor in Germany and USA. He has successfully handled several research projects funded by different scientific agencies including DST, DBT, ICAR, UGC and DAAD. He is currently supervising several young scientists for innovative plant biotechnology research.